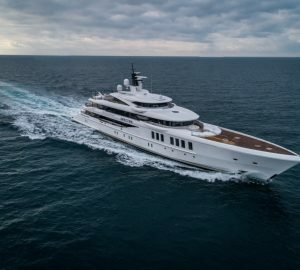 Home to the prestigious Cannes Film Festival and Monaco Grand Prix, France is a summer superyacht charter destination that draws millions to the French Riviera in the summer months and the Alps during the winter. Hot and humid with fine grained sand, clear water and a motley history to uncover, visitors return year after year. Read the full South of France yacht charter guide. Yachting Seasons & Climate: In summer the Cote d'Azur is warm, temperate and humid with temperatures around 9°C/48°F in winter and 24°C/75°F during the summer. On average, settlements in the South of France receive 60 days' worth of rain between 20-40 inches per annum with the majority of rainfall taking place from October-December, which makes the region ideal as a summer holiday destination. Clothing to Pack for Your Charter: If visiting the South of France in the summer, lightweight breathable fabrics such as cotton and linen are recommended. In winter, extra layers such as a jumper are recommended to keep off the wind in the evening. In alpine environments, warm clothes that include a wind/waterproof outer layer are recommended throughout the year. 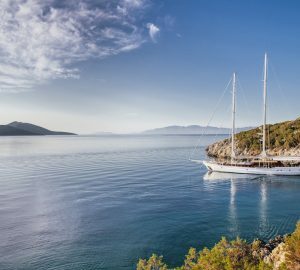 Best time to go: Although France is a year-round destination, the popular yacht charter locations in the South of France are best visited from late spring through to late autumn when the weather is warm and tourist facilities are at peak operation. Yacht Rentals Available: Go here for the current list of yacht rentals in France. France Itineraries: Here is a selection of broker itineraries for France. News: Read the latest superyacht news about France.